1. You still have a yaya who serves you breakfast every morning, packs your bag for work, does your laundry, cleans your room, and is basically at your beck and call. And she always asks you, "What do you want for baon today?" Yup, in English talaga. 2. Your weekly hangout spots include Valkyrie, Prive, 71 Gramercy, and Universe. The bouncers and servers all know you by name. 3. When you're not hitting up clubs in Manila, you’re chilling in Balesin, Punta Fuego, Tali, or Montemar. You are never home for the weekend. Never! 4. Berocca, Advil, and Gatorade are your best friends after a long night out. Because you have to be at work by 8 a.m. the next day, your conversations with your officemates usually start with, "OMG, I have the worst hangover ever." Followed by, "I am never drinking that much again!" You always do, anyway. 5. You don’t know how to commute. You either bring a car or have yourself dropped to work every day by your driver. If all else fails, there is always Uber. Oh, so you've taken a taxi at one point in your life? Congrats, that is NOT commuting! 6. You are up-to-date with all the Apple products. What do you mean you’re still using an iPhone 4? Baduy. 7. Your vocabulary consists of "BV," "hassle," "fambam," "jej," "tus," "sprak," "burat," "mej," "deins," and "totes." 8. You love to say things like, "I can’t even," "Can you just not?," "Are you making me gago?," and "I know, right?" And your friends totally get what you mean. 9. You've used the hashtag #BLESSED more than once on your Instagram account. And you didn’t even use it sarcastically, because you really are #BLESSED. 10. When someone asks you if you want to join something, you reply "G!" Because saying “game” doesn’t sound as cool. Also, it takes forever to type on your smartphone. Hassle solid. 11. You legit had a panic attack when Facebook and Instagram went down for a few minutes. How am I supposed to post a photo of my Toby's Estate coffee or share my political views to the world? Who's going to like my churros photo from Churreria La Lola now?! 12. 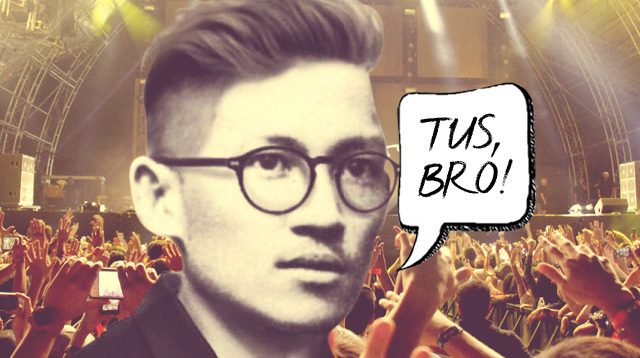 You follow @ManilaConyos on Twitter, and you can relate to almost all of their posts. 13. You attend every single music festival and international DJs' gigs here in the Philippines. Not to mention all the international artists. See you soon, Sam Smith, Katy Perry, Ed Sheeran, and Ellie Goulding! EDITOR'S NOTE: And according to the real conyos, we missed a few points!
. @cosmo_ph you forgot #14: we have an extensive collection of boat shoes and loafers of different colors to match our collection of belts.